Times are quickly changing. As people continue to stay in the workforce into their later years, they face many challenges that we’ve never come across before. With on-the-job training for identified skill gaps or up-skilling, retirement age no longer has to mean retirement for those that choose to remain part of the technical, mechanical, and engineering industries. The face of technology is evolving more quickly than ever with no signs of slowing down. Historically, the view of ageing workers in these technical industries have veered toward out of date as opposed to experienced. Much can be gleaned from the years of experience that ageing workers have to offer in terms of leadership, superior problem solving, dedication, honesty, and maturity. While many workers just entering the field can offer blind enthusiasm, ambition, and a certain youthful haste, there are simply some things that only years of experience can offer. Instead of putting these experienced workers out to pasture, so to speak, it’s time to recognize their true value. In truth, many people choose to stay involved in the workforce past what was once considered retirement age. It’s a sign of the changing of the times and as we ask that they evolve with the ever-changing field of technical and mechanical engineering, we too must evolve and adjust to the growing number of ageing workers. Age discrimination is detrimental to not only the targeted worker, but to the workforce as a whole. 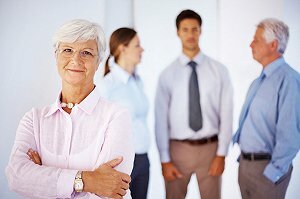 According to Business in the Community, “Currently, one million older people who are not in work want to work – if just half of these were to move into employment GDP would increase by up to £88 billion a year.” In order to move forward with a workforce free of age discrimination and work toward closing the ever-increasing labour gap, employers must embrace more age friendly policies. These can range from ensuring line managers are properly trained at supporting workers of all ages and supporting flexible working conditions. These objectives can be achieved once employers and recruiters begin to focus on the Three R’s: Retain, Retrain, and Recruit. In addition to adapting more age friendly policies as discussed previously, employers can take strides to identify pain points and skill gaps of their workers, then work to provide appropriate training to keep the employee’s knowledge current. Recruiters can re-examine their hiring criteria and standards for any discrimination, whether intentional or not. Ensuring that recruitment centers are open to physical appointments can ensure that candidates without strong IT skills are able to easily navigate and enter the recruitment process. While the technology quickly changes, the core of mechanical and technical engineering remain the same. We do ourselves a great disservice by discounting older workers. Life experience and longstanding work experience simply cannot be taught in a classroom and we all stand to benefit from embracing the ageing workforce with open arms. Not only will working to retain older workers reduce labour costs, it will also do a great deal to reduce the quickly growing UK engineering labour gap.